Updating my website. Proud of the new duo BAL&ANDRIESSEN. Check it out! And proud of all the musical groups I developped and whom I play with. The 3 gigs last weekend with 5-teto Leticia y su Rumbadama were great. It is a joy to play with these 4 driven and high level musicians. The spirit is there, more as ever. Last gig was on Strand Blijburg, where we played and afterwards jammed with local musicians who joined us. Everybody did a great job, it was cooking and there was a dancing crowd. Musicians gave me many compliments for the quality of the session and asked me to organise this more often. If the band agrees, I will try so. Good for the band and good for the many local latin musicians. I realise that I am a good sessionleader; it is in my blood, after many years of bandleader-experience. Keep an eye on the 'upcoming show' department in the menu for next sessions. 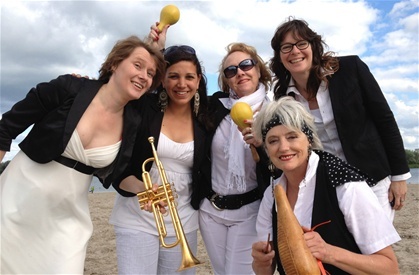 After some changes in the regular line up of Rumbadama (Barbara Rana is now the regular pianoplayer; 2nd trumpet will be replaced by trombone and upcoming gigs with the 7-tet will be done by Celine Schrotz on congas and myself on timbales) there is a new spirit in the band! Yeah! 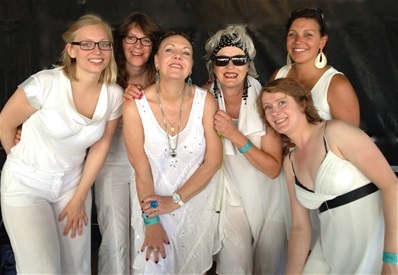 Last saturday on North Sea Round Town in Rotterdam with the 5-tet was a joy! Yesterday we did a coro-rehearsal with Barbara. The coros are sounding great! Yeah!! i am booked (solo performance) at the prestigeous Percussion Festival in Eindhoven, 4th of november 2012. Just got a message from Erk Willemsen. Tomorrow solo show (5th of May, National Liberation Day) and sunday with my band 4-teto Rumbadama.